I know that photos are the focus of my business and this blog but I had to take a moment to discuss the horrible earthquake that hit Haiti on Tuesday and what everyone can do to help. 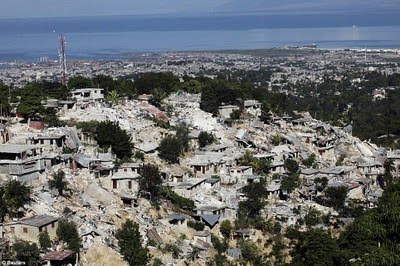 As I'm sure all of you know by now (and have seen on the news and countless blogs), Haiti was hit by a massive earthquake on Tuesday and they fear 500,000 may be dead, and countless more injured. I just wanted to take a moment to list some organizations (courtesy of Good Morning America's website) that are now accepting donations and ask for all of you to donate if you can (even a dollar or two will help! ).